Since the dawn of professional wrestling, narratives and characters are what the audience have bought into, with the likes of The Undertaker, John Cena, Kane and Hulk Hogan living proof that 'gimmicks' sustain careers. For a young up and comer, establishing yourself in a diverse market within a wide society is difficult, as Tom Bond shares his thoughts on how to stand out amongst a talented industry. With not all pro wrestlers signed to large companies such as World Wrestling Entertainment, Ring of Honor or Impact Wrestling, advertising yourself to smaller promotions has become the bread and butter for new talent on the scene. Social media is a key aspect of this, as a promoter seeking a fresh face to join their roster can see the style of character a performer in front of them and evaluate their worth to their company. Bond feels that in today's highly competitive market, branding yourself in way to help you emerge from the crowd is important as it almost like running your own company. He said: "I think it's very important to stand out, especially on an independent level. You are essentially self employed in charge of you're own brand. If my brand is the same as someone else and someone sees them first, who's T-Shirt are they going to buy? "You need to have something different, even if its just the way to walk or talk, even just a name. You need something for fans to remember." 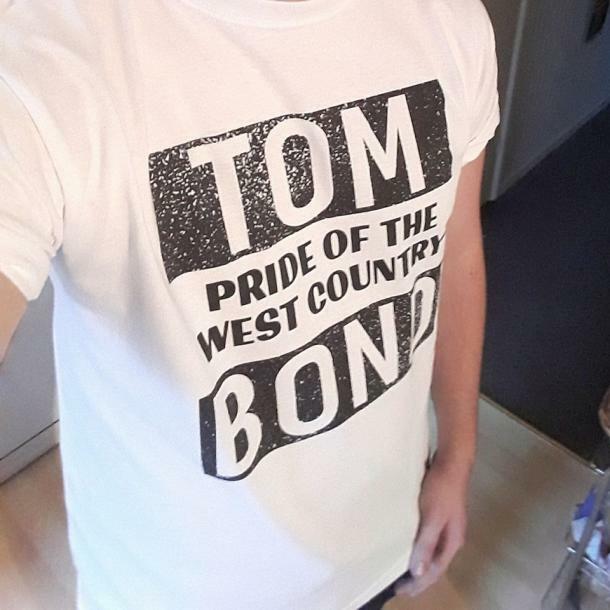 Bond, a performer at HCW Championship Wrestling, has noticed that it is taking risks which helps athletes stand out from the crowd, with a number within the United Kingdom doing just this to help grow their brand. He said: "I feel that if you take risks, it can be somewhat easy to stand out, especially in the UK. "Wrestlers such as Spike Trivet, Jack Sexsmith and Pastor William Eavor all stick out as they have taken risks with their gimmicks. But there are a lot more wrestlers around now and a lot of them on smaller shows do the same stuff. "You could go to a show and see the same match 2 or 3 times. I like wrestlers who do moves and conduct themselves differently. To make a match entertaining you need the 2 guys to differentiate the way they do moves to make a story work in the match and to have something to invest in." With it so difficult to stand out, Bond has experienced the same journey that many within the British pro wrestling circuit have and found a persona suited to his personality. Nicknamed 'The Pride of the West Country' the 20-year-old chose his name due to his tendency to wrestle away from his home town of Somerset - with his voice and gimmick helping him stand out amongst his colleagues. While the popularity of mixed martial arts grows following the increase in the boom of UFC, Bond has noticed certain simalarities between the WME-IMG owned company and the pro wrestling style promotion. Larger than life characters such as Ric Flair, 'Rowdy' Roddy Piper helped catapult pro wrestling into the mainsream audience and attract a fanatical generation in the mid 1980's similar to what MMA stars are doing now. Bond stated: "MMA have used Pro Wrestling promotion techniques from day one. Whether is monthly PPVs or the fact that all MMA fighters cut promos on eachother now and even portraying a character. Conor McGregor plays a character as a mad man and a cool money maker for example.
" Whether its just saying things to hype up a fight or doing public stunts. Even having a certain walk is taken from Wrestling. With certain attributes, stances, talking, or gestures helping professional wrestlers stand out and gain audience popularity, the outlandish performances of Conor McGregor and others in recent years certainly look to have taken inspiration from the world of the squared circle.